Elm Tree Farm is a vibrant, colourful place, a piece of the countryside in the middle of Bristol, producing a wide variety of nutritious produce grown using organic farming methods and breeding a range of livestock. Over 50 people with learning disabilities work at the Farm gaining vocational skills and employment training thereby contributing to the social, environmental, and economic development of Bristol. Elm Tree Farm has a long and interesting history. For several decades it’s been a working farm providing vocational and employment training opportunities for people with learning disabilities and autism. The Farm was part of Stoke Park Hospital which was originally founded in 1909, and was situated behind the landmark Dower House, until the demise of support and care for individuals in institutions in favour of community-based support. The Farm has been managed by Brandon Trust since 2000 and prior to that by Spectrum Day Services which were transferred to Brandon from Phoenix NHS Trust. Part of the Farm is in the Stoke Park Estate which is a Grade 2 Historic Park and the tip of Bristol’s Blue Finger of high-quality agricultural land extends into the Farm. The success of the Farm has enabled us to open a Farm shop in addition to our stall at Bristol’s Farmers’ Market, where you can buy our tasty produce, as well as a range of handmade gifts. 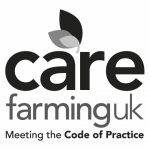 Care Farming is the therapeutic use of farming practices, utilising working agricultural farms and smallholdings to provide health and social care for individuals with additional needs. At Elm Tree Farm, this means we work with adults and children with learning disabilities and autism. 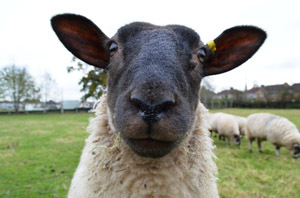 Care Farms provide a supervised, structured programme of farming-related activities, including animal husbandry (livestock, small animals, and poultry), crop and vegetable production, and woodland management. Trainees attend on a regular basis based on their assessed needs. The active support opportunities enable people to meet the goals and outcomes identified as important by themselves and their support network. For more information about the support Elm Tree Farm provides as a Care Farm, visit the Supported Services section of our website.